Please click here to see our Winter 2019 classes and programs. Several of them are ideal for those who have been wanting to explore some of the basics of Judaism. 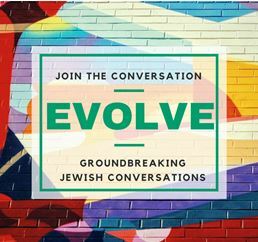 We are very excited to announce Evolve: Groundbreaking Jewish Conversations, a project of Reconstructing Judaism. The essays and resources on the Evolve site have been posted to serve as the bases for ongoing conversations about challenging topics. We offer these resources to you in your community activities and for your own personal study. We also hope that Evolve will be a site for ongoing conversations about these groundbreaking issues—conversations that exemplify our values of mutual respect and open-hearted communication. We encourage you to write or video responses that we can add to these conversations. Please share your responses with us here. These issues will be featured in many of the workshops at the upcoming Convention in Philadelphia of Reconstructing Judaism. In addition, in the coming year, several of our Reconstructionist Learning Networks will focus on these issues. The evolution of Jewish civilization to which we are all committed depends on our willingness to address difficult issues together in exciting ways that can be challenging. We hope that Evolve will serve as a site that promotes these important conversations. 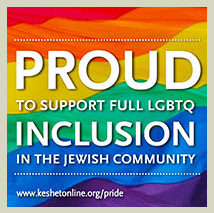 Temple Beth Israel welcomes people exploring Judaism, and invites you to grow and learn with us! Our diverse community has people from various faith backgrounds, and we always welcome interfaith families and visitors from other faiths. All of our listed programs are open to the public, regardless of religious background or affiliation. For those who are interested in deepening their connection through conversion to Judaism or learning more about the conversion process, we invite you attend one of our services or programs to get a feel for our community, and to read one of the books recommended below. 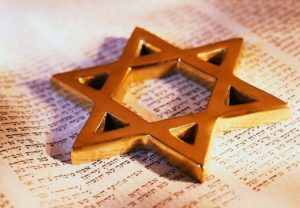 If you find that this community is a good fit for you, please schedule a meeting with our rabbi, and consider joining our monthly Exploring Judaism group. We encourage you to attend classes and educational programs in addition to our regular services and social activities. If you have further questions about the conversion process or about our community, please contact us.